Ready for a Dockwa Fun Fact? Our CEO Mike Melillo and VP of Sales Dan DeGeorge are life-long friends, who have been playing baseball together since they were ten years old. These guys weren't phoning it in, either: both went on to play for the Northwoods League while in college, after which Mike went on to play for the Milwaukee Brewers and Dan for the Cleveland Indians. Pretty cool, right? While they're now devoting their penchant for hard work toward All Things Dockwa, their love of baseball is still readily apparent; they've given pointers to some notable Newport sailing crews at the gym, will have a game on in the office when they're not on calls, and they stow a bat in the entrance to the Newport office for safekeeping (the last time I was there, a passerby asked if it was our security system). So when we heard about the Northwoods League hosting a first-of-its-kind Home Run Derby on the Harbor ahead of its annual All-Star Game – an event that combines our love of baseball with our love of cool on-the-water events – we had to know more. Read on for details, and spend a weekend in Kenosha! Set to take place Tuesday, July 19th, the Northwoods League Home Run Derby at the Harbor will feature the top NWL hitters slugging it out, launching baseballs right into Lake Michigan. From the pier extending out into the harbor, NWL All-Stars will be partaking in a baseball first: A buoy line replicating the field dimensions of historic Simmons Field will be placed over the water to define the home run boundary. 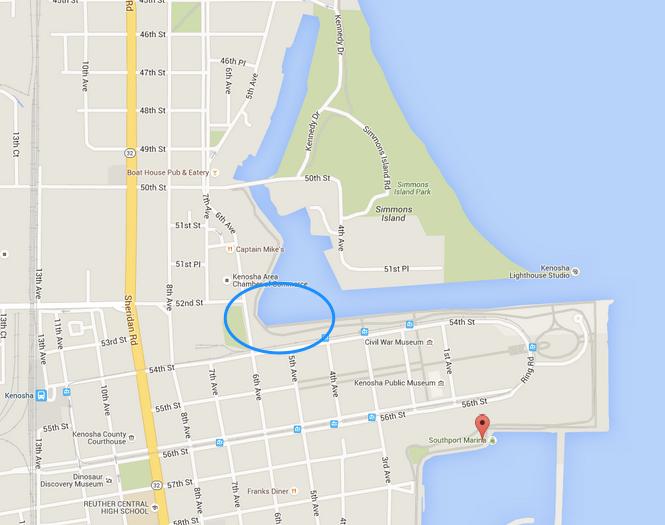 Fans can watch from near the intersection of 52nd Street and 6th Avenue in Downtown Kenosha, a short walk away from Southport Marina. 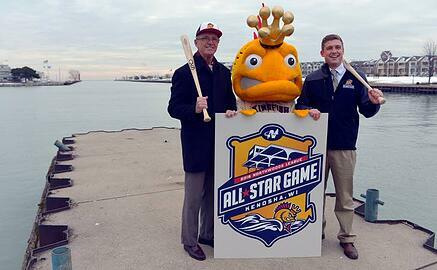 Gates for the Home Run Derby at the Harbor will open at 5:30pm with the derby beginning at 7:30pm. Bring a blanket, pack a picnic, and kick back with live music, fireworks overhead, and some fierce swings. General admission tickets are just $10, or upgrade to VIP for two hours of all-you-can-eat smokehouse BBQ and ballpark food, soda, water and three drinks per person for $50. The annual Northwoods League All-Star Game, to take place the day after the derby, has become a marquee event of this league, and attracts sellout crowds and scores of MLB scouts. Get your All-Star Game tickets here. Bring a whole flotilla! Groups of ten or more that would like to purchase tickets to the Northwoods League All-Star Game can call the Kingfish ticket office at 262-653-0900 to book their outing. 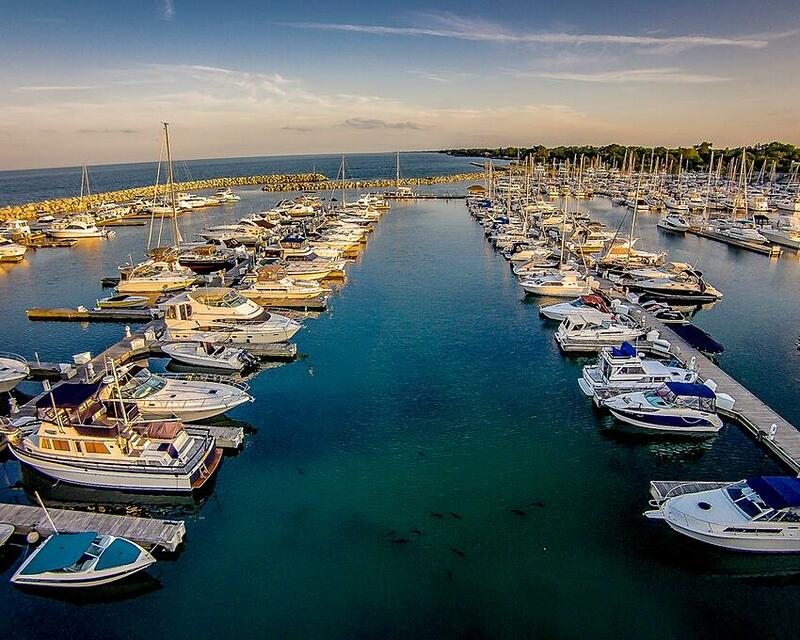 Conveniently located in the center of Kenosha's new Harbor Park Development, Southport Marina is just steps away from the Home Run Derby and All-Star Game. It's also walking distance to restaurants, nightlife, parks, and more.